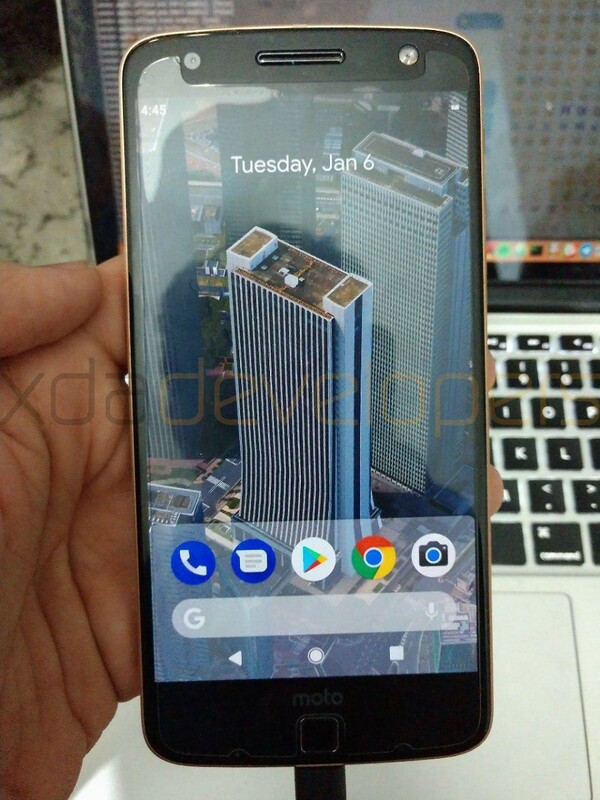 Just a few days back, Google released 4th Developer Preview of Android 9.0 P (Beta 3) for Google Pixel and Pixel 2 Smartphones. According to Google's release schedule, this is the candidate build which includes the final APIs and near-final system images for development and testing. 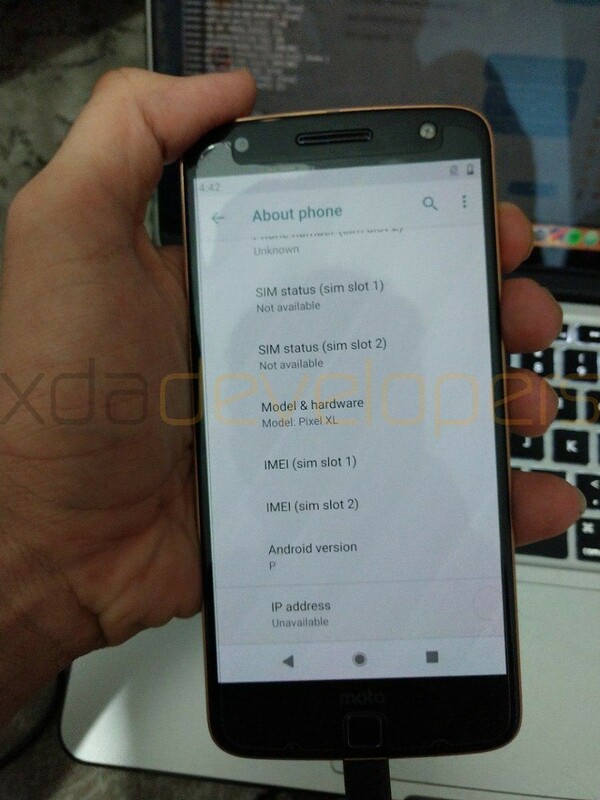 Now, XDA Developer Erfanoabdi has ported the DP4 Android P to the Motorola Moto Z. He says that "Almost Everything" works in this Firmware including Boots, RIL (Calls, SMS, Data), Fingerprint, Wi-Fi, Bluetooth, Camera, Camcorder, Video Playback, Audio, Sensors, Flash, LED, and GPS, the only bugs includes VoLTE and Flashlight. 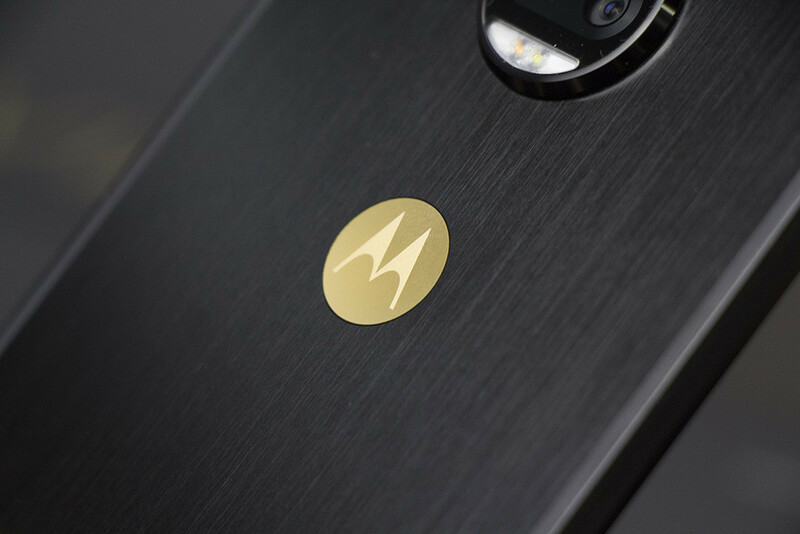 You'll need an Unlocked Bootloader with TWRP recovery installed on your Motorola Moto Z. Rest of the process includes Downloading and Flashing Google Apps and Android P DP4. 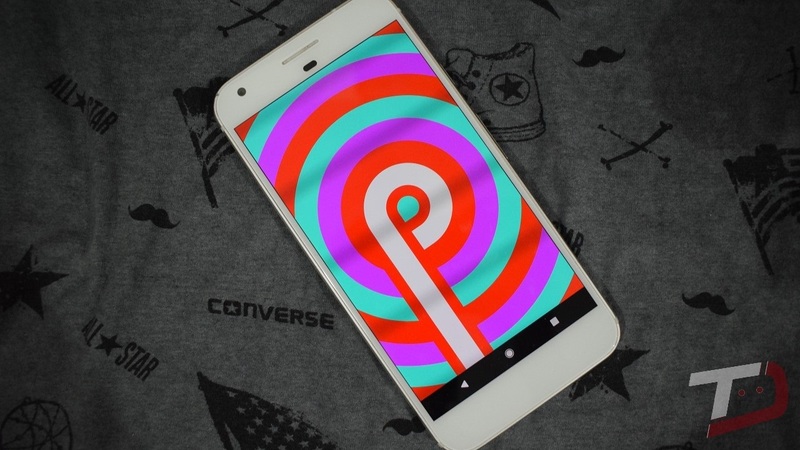 After seeing last month's Android P DP1 for Pixel Smartphones that revealed what Google is backing, the developers have been busy getting their takes ready. 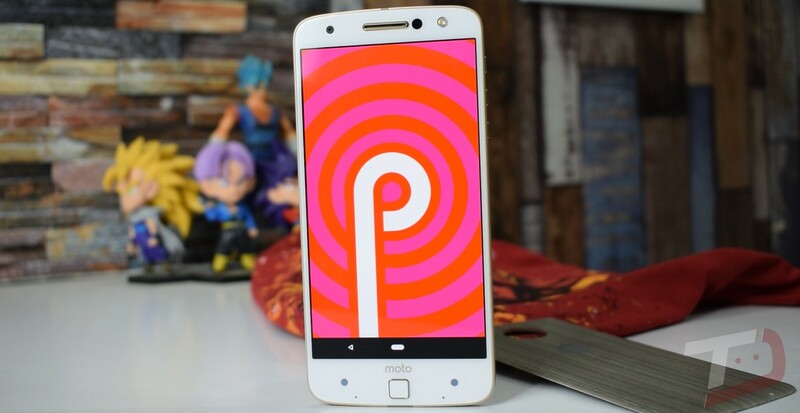 Developer erfanoabdi has come up with Android P Port for the Motorola Moto Z.
Erfanoabdi has successfully booted up Android 9.0 P Developer Preview on the Moto Z thanks to unofficial Project Treble compatibility. 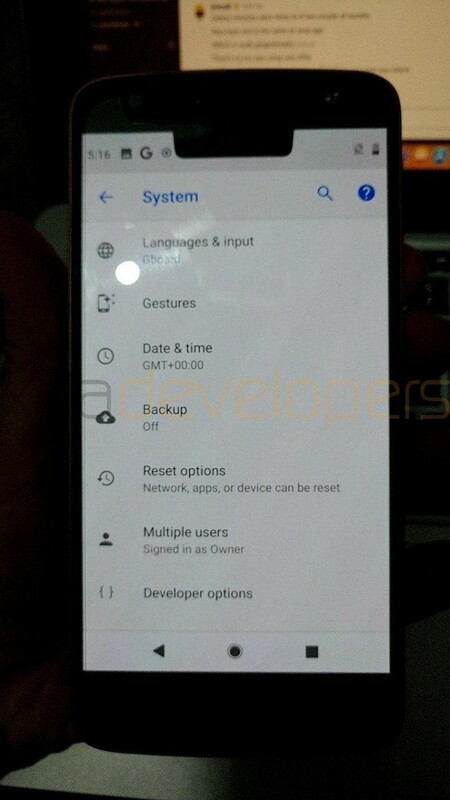 The developer has also shared images showing the Interface and About Phone Settings section. 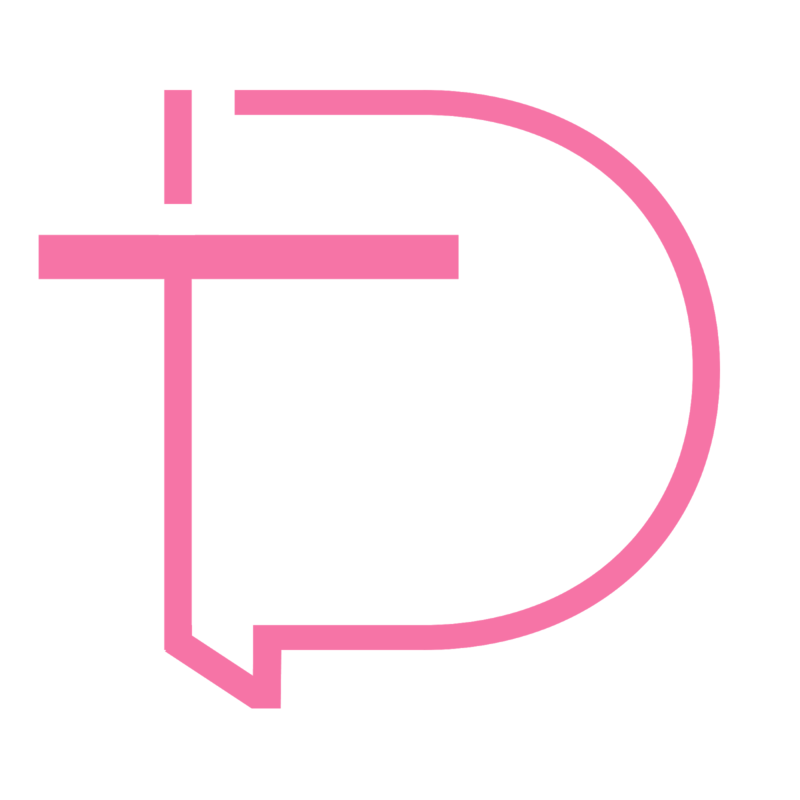 He used his script “Capire Le Treble” which allows him to flash a device-specific system image on different devices without a /vendor partition to flash modified Android P DP1 Image from Google Pixel XL (Marlin) onto his Moto Z which was running Official LineageOS 15.1. XDA notes that Camera, WiFi, Radio and few other things are not working as of now. However, the developer managed to get Moto Mods working. There's no information when Android P Port will be available for Moto Z users. The Motorola Moto Z is now receiving its Official Oreo update. 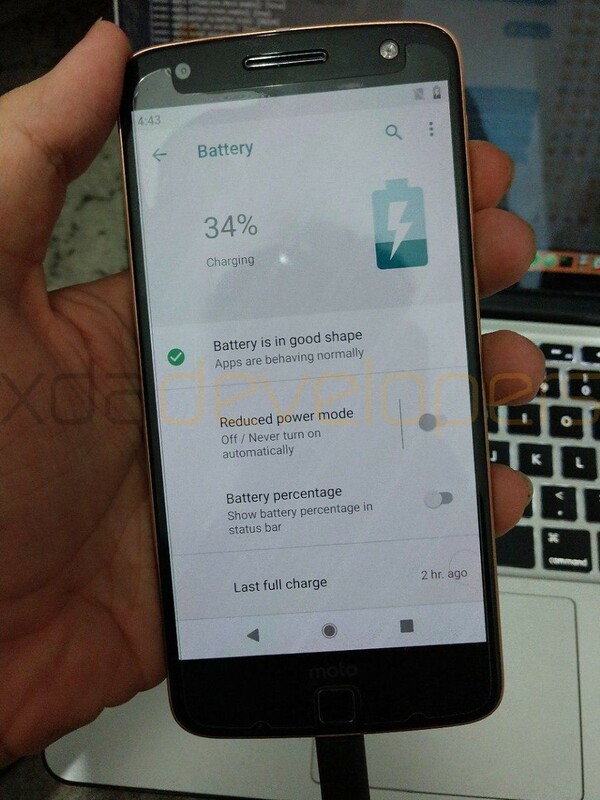 We've seen the update coming through 2016 Moto Z in India (RETIN), Other Asian markets (RETAPAC), China (RETCN), Mexico, Canada (BWACA, RCICA), and few other markets. It weighs around 1GB and features March 1, 2018 Security patch. 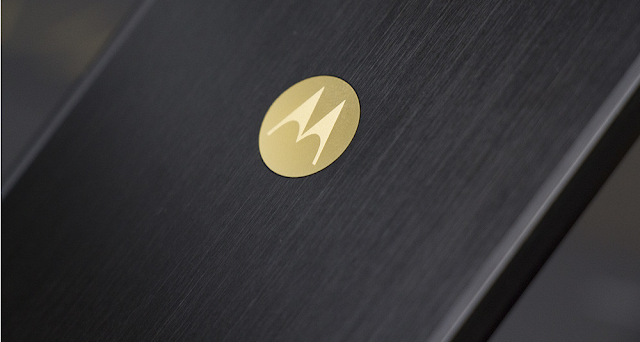 The stable build is rolling out as OPL27.76-51 for the Moto Z. Motorola’s instructions explain that for a successful installation, the battery in your phone should be at least 50% charged and your device should be connected to a Wi-Fi network or LTE. [Updated: Brazil gets it too] Moto Z Oreo Update Rolling Out Now in China! The last time we updated you on the status of the Moto Z Android 8.0 Oreo update, we told you that it was in the works and could arrive with a “few” weeks. 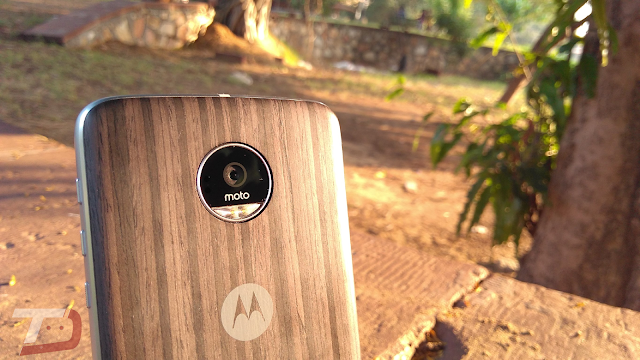 Well, it looks like Motorola has started pushing it out in China. 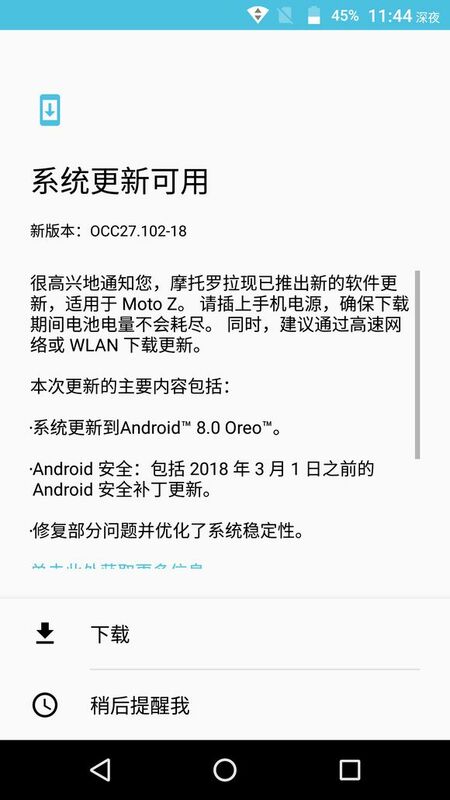 The Moto Z in China is now getting Official Android 8.0 Oreo Software Update. 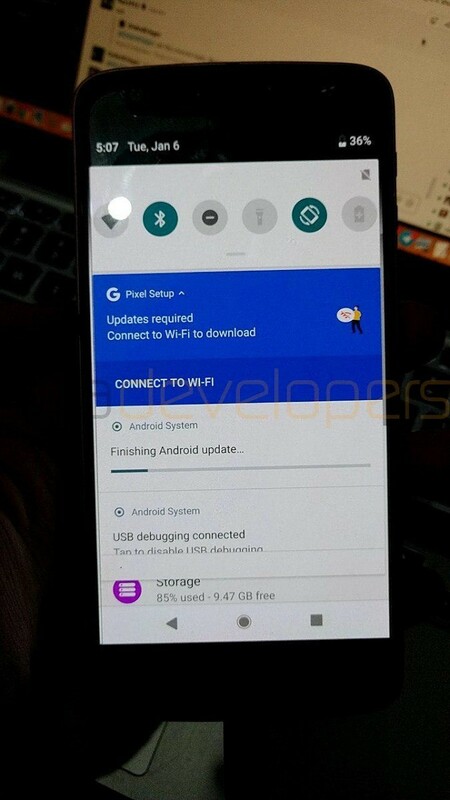 Android Oreo comes with numerous enhancements over Android Nougat, such as faster booting, new Settings and Quick-Settings UI, Picture in Picture (PIP), Adaptive icons, Autofill, Notification timeout, Motorola has also add several new features to the latest software update. 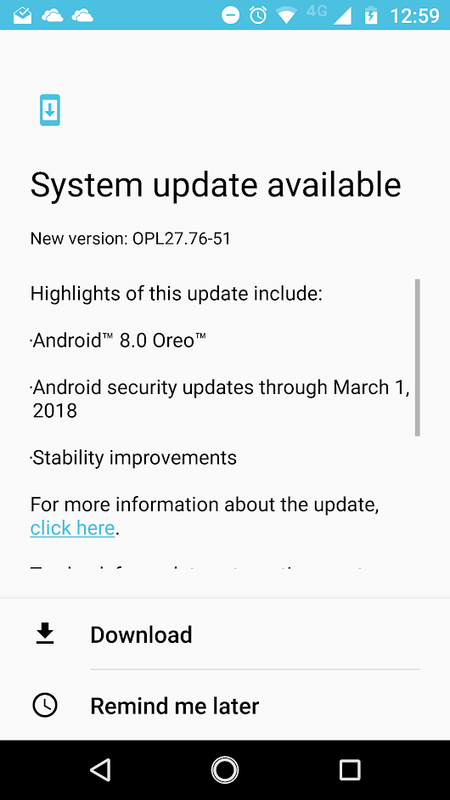 Android 8.0 Oreo update for the Moto Z also brings the latest March 1st 2018 Security Patch. Update: We're also seeing Android 8.0 Oreo Software Update with version OPL27.76-51 for the Brazilian Moto Z 2016 Too!!! 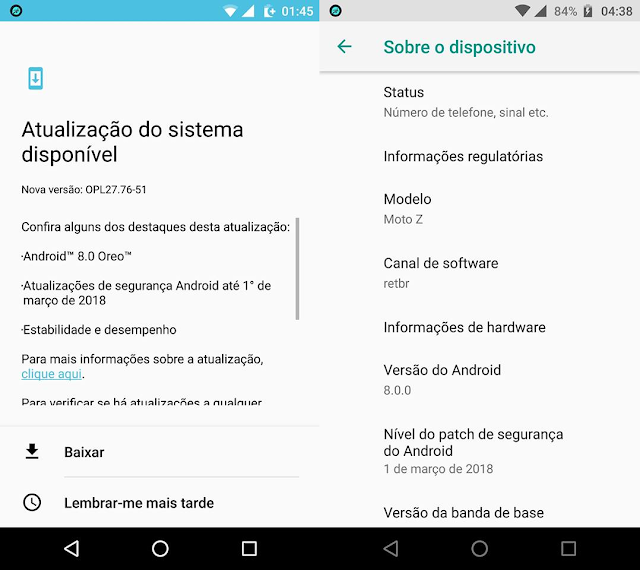 Just a few weeks back, Motorola started recruitment for Android Oreo beta testers for the Moto Z Smartphones and today the company has started rolling out the update to the eligible Moto Z users in Brazil. 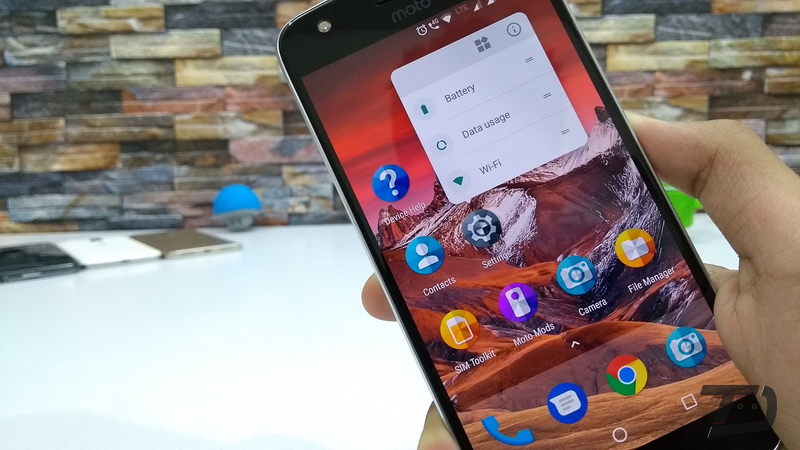 While this is only a beta program, it's still good to see that Motorola is working on bringing the latest version of Android for its users. 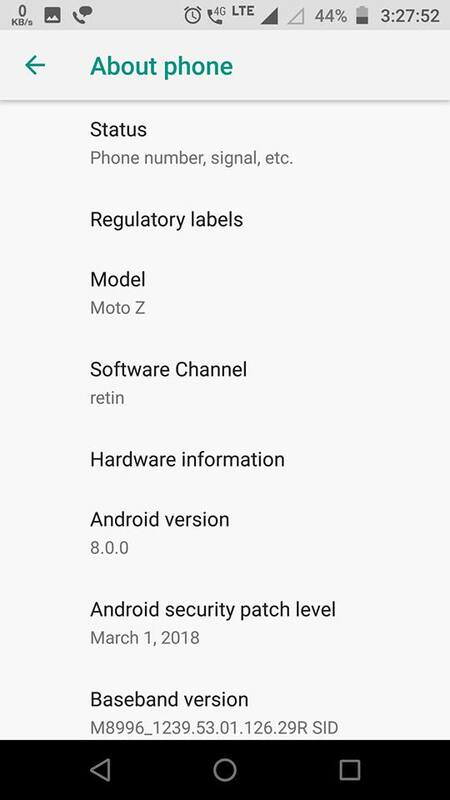 The Oreo Soak Test comes with December 2017 patch for the Moto Z and has build number of OPL27.75. 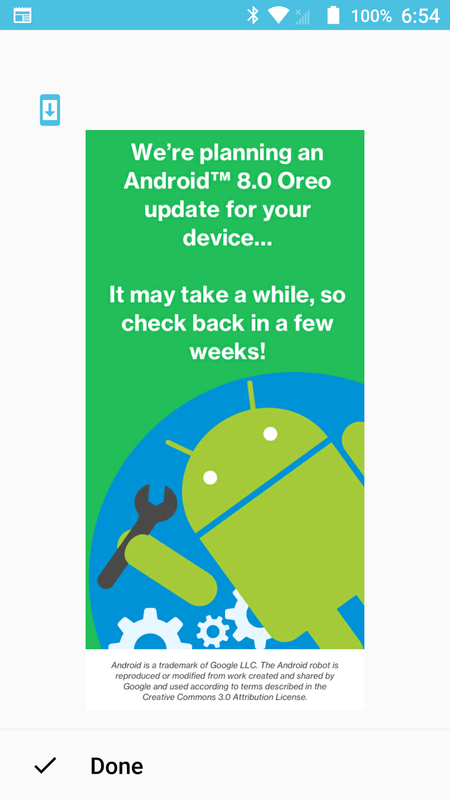 Android 8.0 Oreo brings along brand new System Interface, Autofill, Picture In Picture, Better Battery Life, Fast Boot, and more. While the company has not revealed date of the official rollout of Android Oreo, it is believed that Motorola might release the official update by the end of 2017. Stay tuned to our Facebook and Twitter page to get the first News. 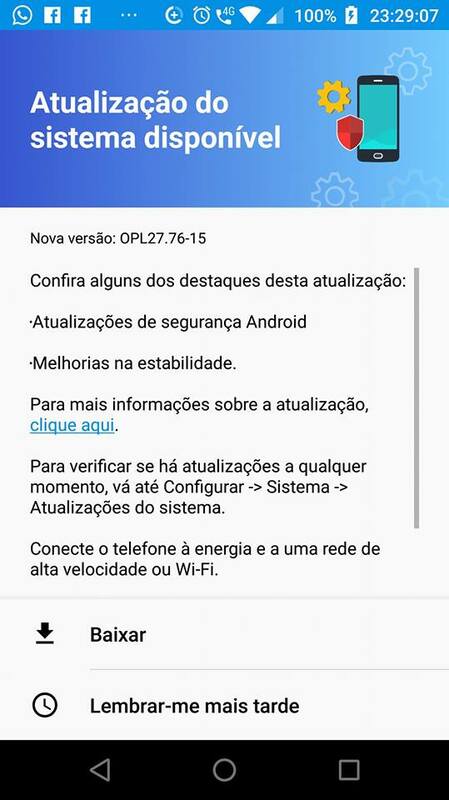 Reports out from AndroidPIT Brazil suggests that Motorola is now sending out Android Oreo Soak Test invitations to the Moto Z and Moto Z2 Force users enrolled for Motorola Feedback Network. 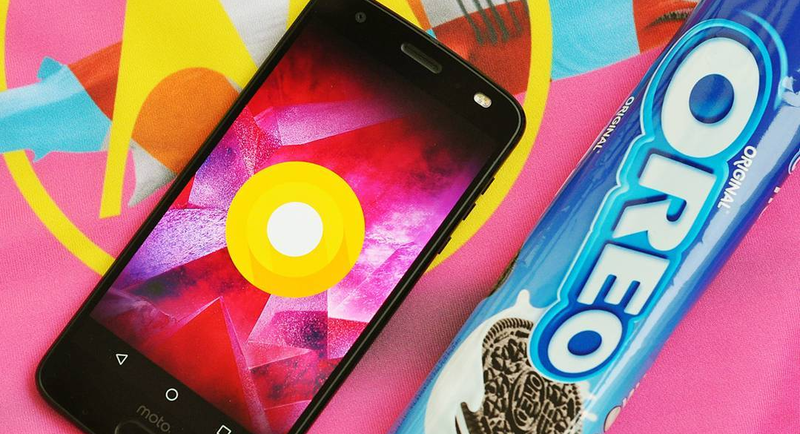 The reports further suggests that first Android 8.0 Oreo Beta may hit Moto Z and Moto Z2 Force users within 48 hours. You can now download and install the LineageOS 15 based on Android 8.0 Oreo on your Moto Z (Moto Z 2016) Smartphone. 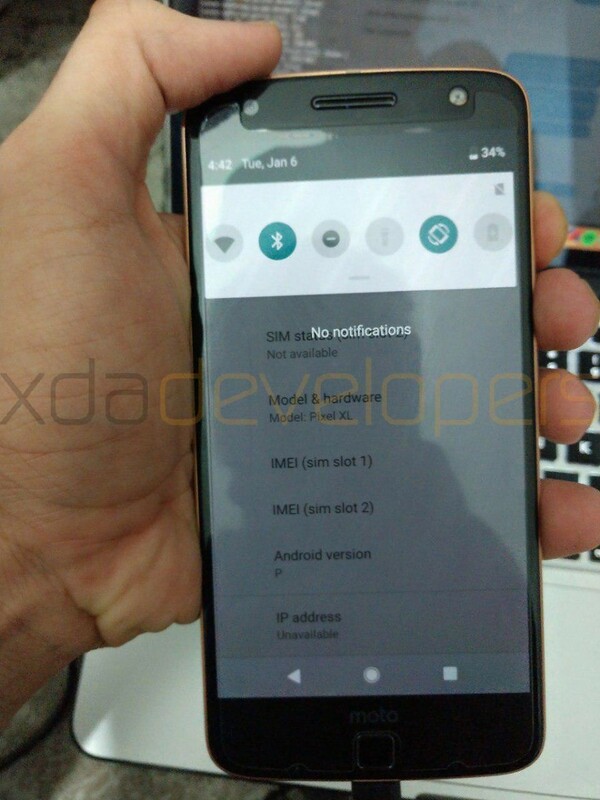 Well, if you are a Moto Z owner, then this recent development might be of interest to you. 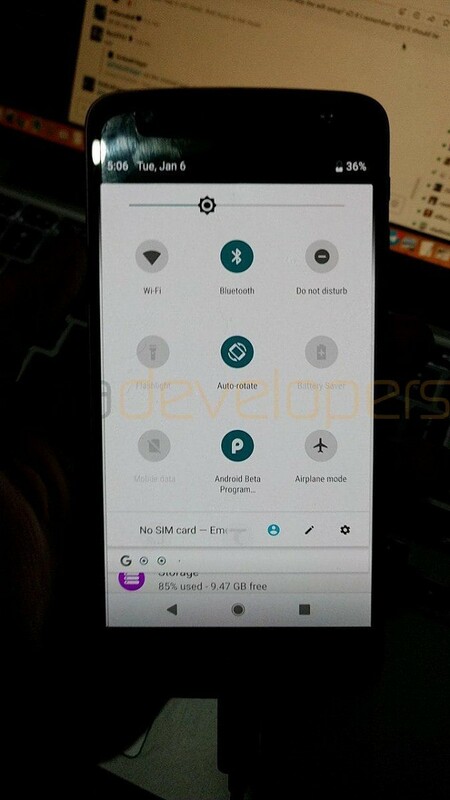 Developer "erfanoabdi" has successfully ported Android 8.0 Oreo LineageOS 15 on the Moto Z. Additionally, most major aspects of the phone are working as expected (such as RIL, WiFi, Bluetooth, etc.). 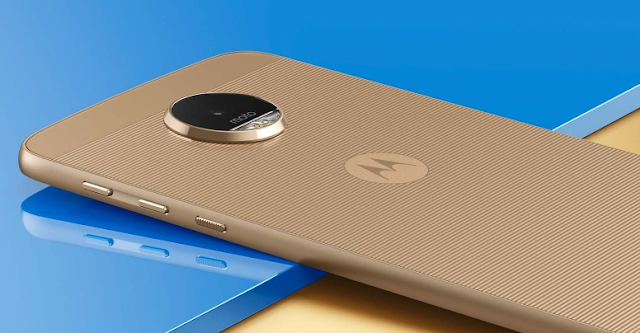 You'll need to Unlock Bootloader and Install TWRP Custom Recovery in-order to Install the LineageOS 15 Android 8.0 Oreo Rom on Moto Z Griffin. 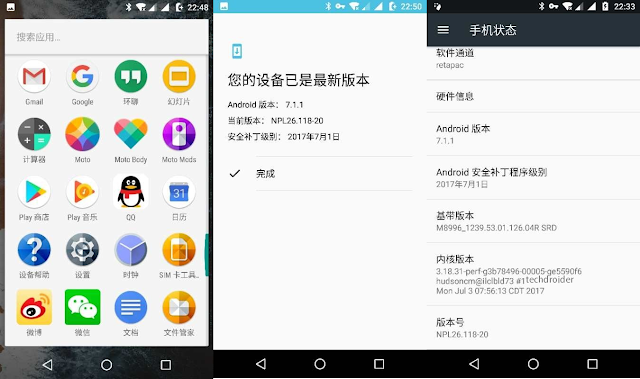 You can grab the Custom Rom ZIP file from below. 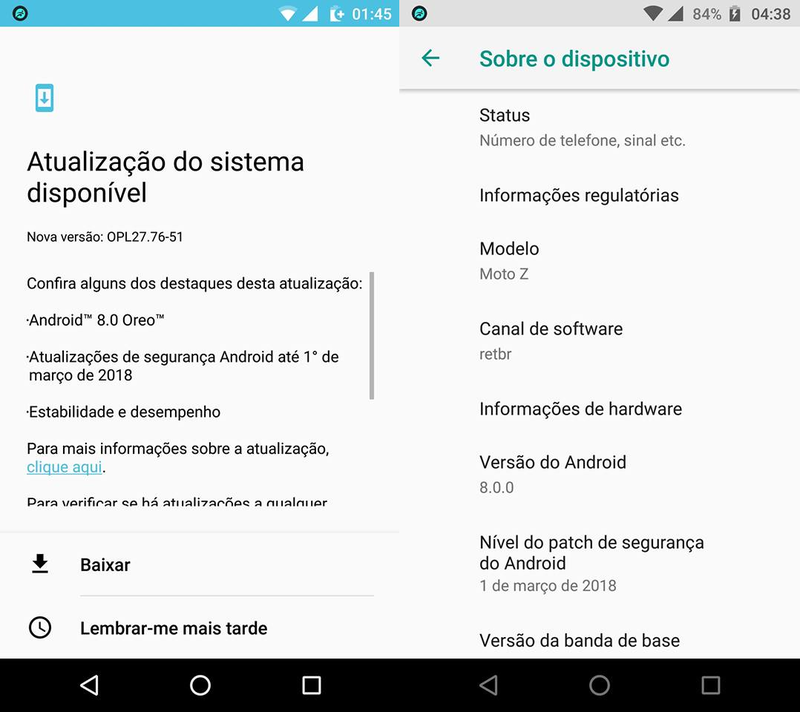 The last time we updated you on the status of the Moto Z Play Android 7.1.1 Nougat update, we told you that Motorola has already started pushing the update for a few users in Brazil and India. Now, Motorola has started testing the Android 7.1.1 Nougat on the Standard Moto Z via Soak test. Those who were accepted for the Soak test are starting to receive the update, which is indeed Android 7.1.1 Nougat. The system version is NPL.26.107, for those keeping track. 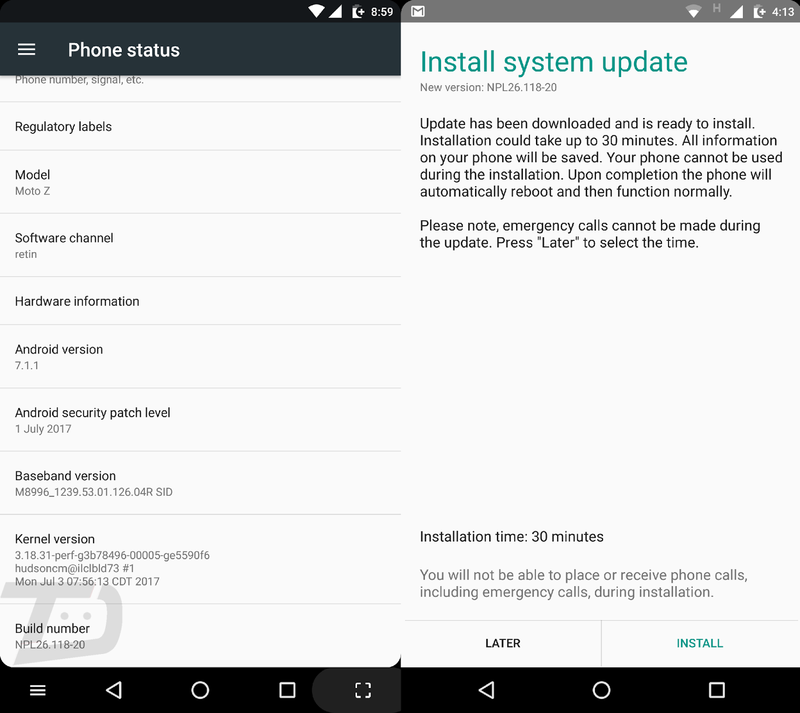 The Android 7.1.1 update for Motorola devices brings brand new icons for Motorola's system apps, It features the latest June 1, 2017 Android security patch. 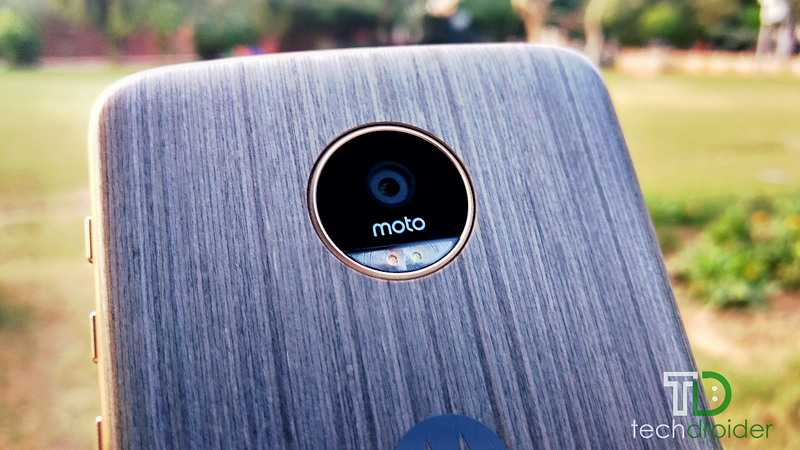 Motorola also adds Video calling Duo application, Moto Mods v2.0, Stability improvements other interesting features along with Android 7.1.1 Nougat goodies. 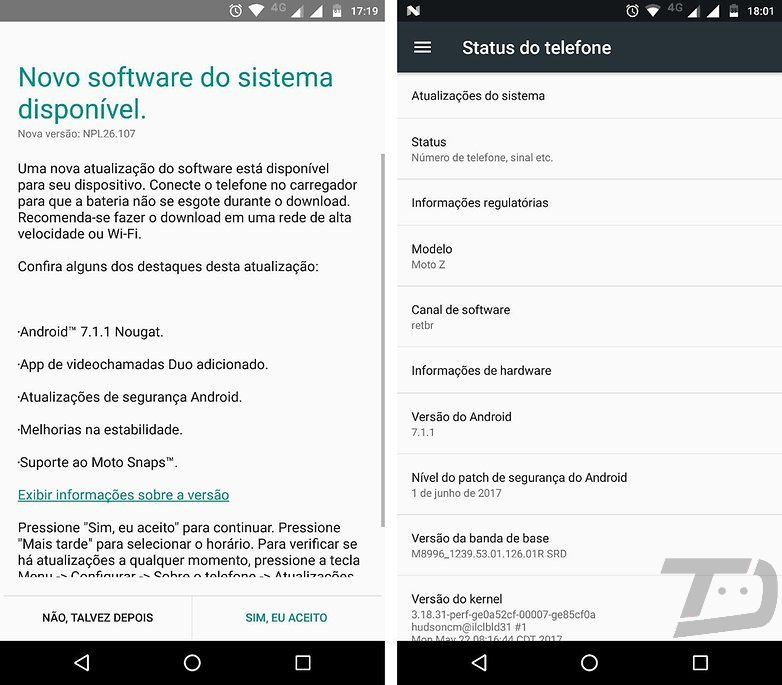 The Moto Z has now started receiving a new software update with the April Security Patch, bug fixes and Stability improvement in Brazil. The update arrives as software version NPLS25.86-30-12. 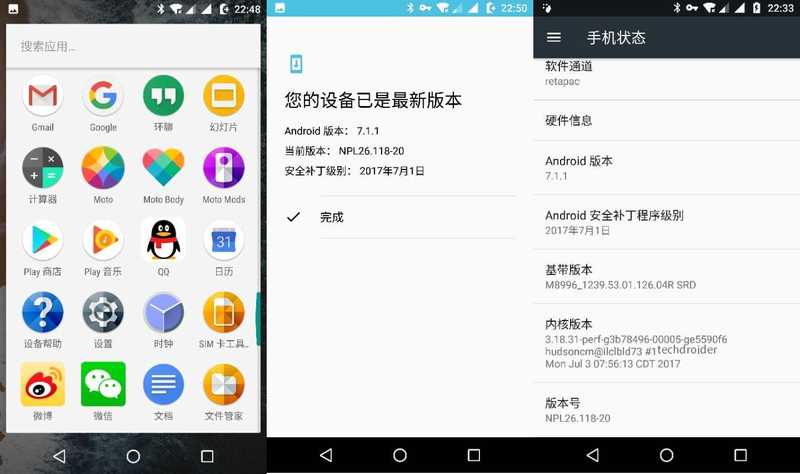 Note that the device still runs on Android 7.0 Nougat. Motorola has already updated the Moto Z family to Android 7.0 Nougat. While this update would have been more exciting if it had brought Nougat 7.1.1, which is already available for Google's Pixel and Nexus devices. 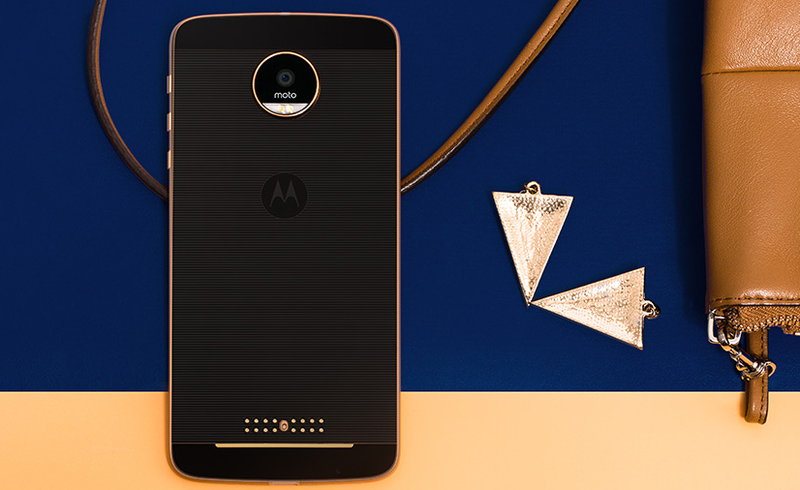 Motorola's take on the modular smartphones paid off with the Moto Z series of phones. However, rumors were rife about the next generation Moto Z smartphones. 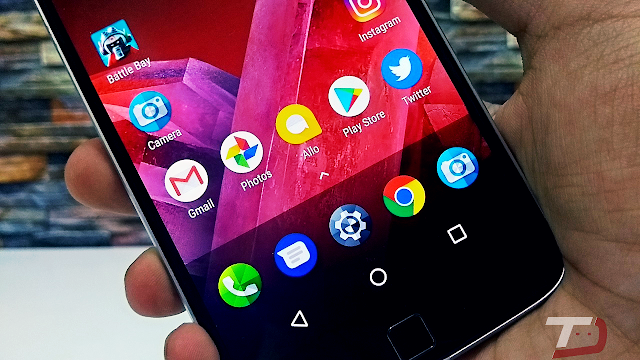 Now, the famous tipster, Evan Blass revealed that the upcoming Moto Z (2017) will be called as Moto Z2. 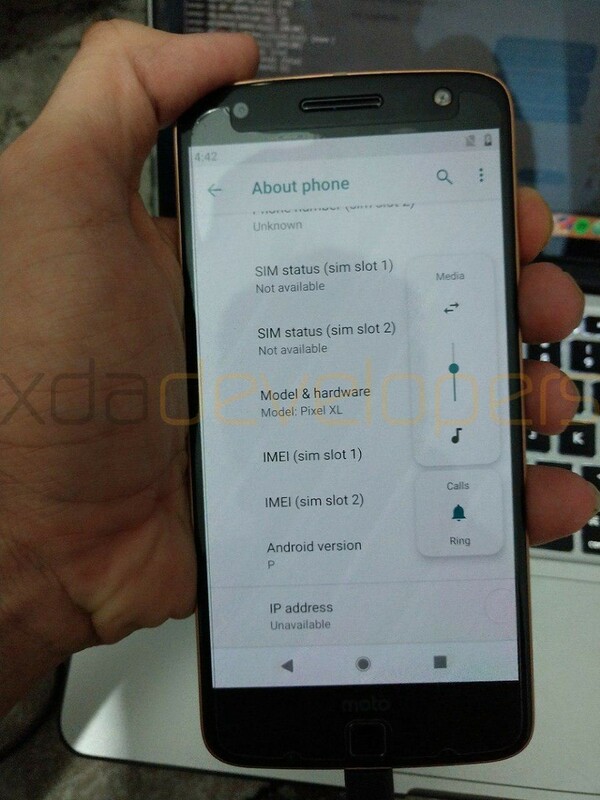 Blass posted an image with the logo of the device and that shows the phone as Moto Z2, which is kind of interesting as everyone expected it to be Moto Z (2017). 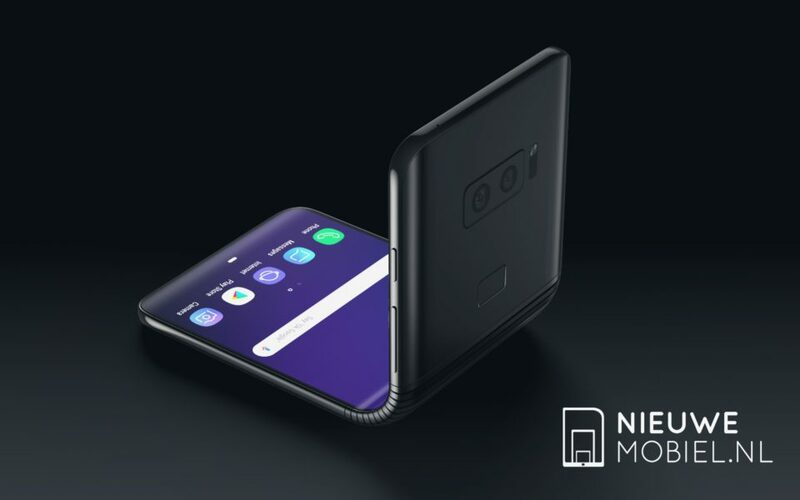 There are no details regarding the specifications of the phone, though. For now, it is said that the Moto Z2 will come with Snapdragon 835 SoC, coupled with 4GB of RAM. The phone was reportedly showcased at the Sprint booth in Barcelona last month at the MWC 2017 event. Sprint used the phone to tease the gigabit speeds offered by the Snapdragon 835 chip. Also, the phone retains the same rear design language, but expected to come with an entire new design from the front, which will be in-line with the recently announced Moto G5 series. 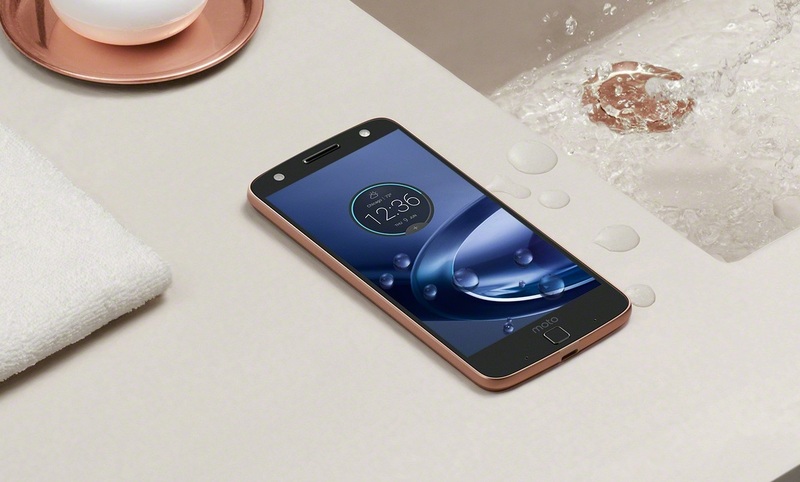 The Moto Z Droid and Z Force Droid has now started receiving a new software update with the March Security Patch, bug fixes and Stability improvement in the US on Verizon's network. The update arrives as software version NCL25.86-11-4-6. Note that the device still runs on Android 7.0 Nougat.